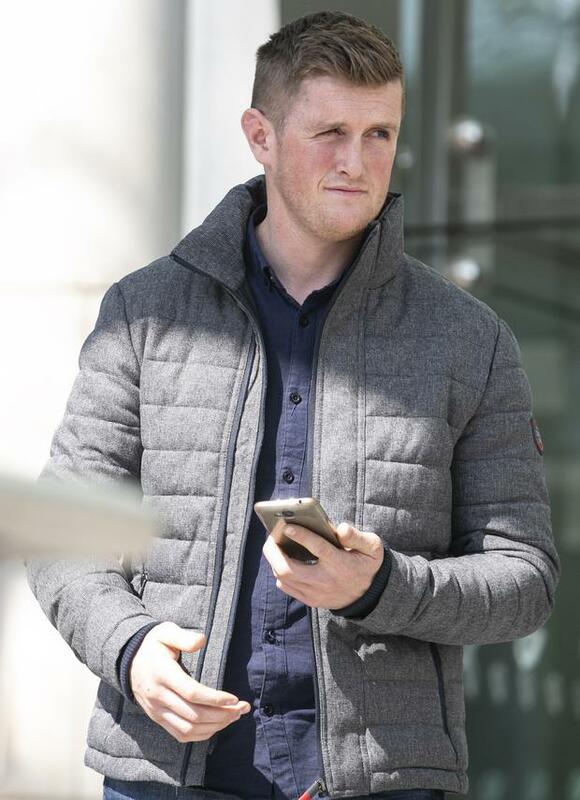 One garda said Niall Sweeney (31) showed a level of strength he “did not think was possible” for a man of his build, while pepper spray had no effect on him. Earlier, Sweeney had threatened to shoot a bouncer when he and friends were asked to leave. It had been his first night out drinking in 10 years. Judge John Hughes jailed him for three months and suspended another two. Sweeney, a truck driver and father-of-two from Co Donegal, had admitted the threat to kill but pleaded not guilty to assault causing harm to Garda Kevin Meaney, as well as public order offences. He was found guilty on all counts. Dublin District Court heard the incident happened at The Temple Bar pub in the early hours of November 30, 2017. The doorman had asked Sweeney and friends to leave when the accused pushed him out of the door, made a finger gesture at him “like a gun” and said he would shoot him. Garda John Paul Keohane said that when he arrived, Sweeney told him to “f**k off” and refused to leave. When escorted out, Sweeney became very violent, struggling and kicking as he was carried. “The level of violence shown to myself and Gda Meaney was the most I have seen in my career,” Gda Keohane said. Sweeney was taken to Pearse Street Garda Station where he had cuts to his face and was spitting blood. Gda Keohane believed he received the injuries while thrashing on the ground. Sweeney was taken to hospital for treatment. Gda Meaney said as he tried to bring Sweeney’s arms behind his back, the accused resisted and his “strength was incredible”. “He bent down his head and bit me on my left hand. I felt a sharp pain,” Gda Meaney said. He pulled his hand away and a protective glove he was wearing had been torn off in the struggle. “I remember drops of sweat dripping off my nose. I was absolutely exhausted,” he said. He had to use all his force to stop Sweeney kicking him. Afterwards, the garda’s hand was “throbbing” with pain and had teeth marks but the skin was not broken. The accused did not go into evidence. As well as being jailed, Sweeney was ordered to pay €1,000 compensation. Bail terms were set in the event of an appeal. Meanwhile, a co-accused, Anthony Gallagher (26), a builder of Aboligan, Dungloe, Co Donegal, admitted assaulting the doorman by pushing him over. The court heard the group had gone out drinking after work and things “got out of hand”. He was fined €500 after paying €150 compensation.